Tristan Connolly, Senior Accountant, joined Falcon in November 2014. 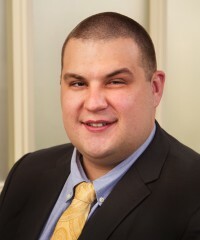 Prior to joining the firm, Mr. Connolly was a Senior Accountant at Walter & Shuffain, P.C. Prior affiliations include Shallo, Galluscio, Bianchi, & Fuchito, CPAs, P.C. Mr. Connolly received a B.A. in Business Administration and Accounting from Hartwick College.